Auli lies in the Chamoli district of Uttarkhand and is considered to be one of the best destinations for skiing. During the winter months, the Auli Gurson Meadows is usually covered in a blanket of snow. From the Auli Gurson Meadows trek, you can witness snowy peaks like Nanda Devi, Mana Parvat, and more. Auli marks the starting point for some of the most iconic treks like Valley of Flowers trek, Kuari Pass trek, Roopkund trek, and of course, the trek to Auli Gurson Meadows. Trekking around Auli offers you exceptional winter treks with lots of great sights to see, and is at its best during the day. If you’re relatively fit and love the idea of being in the mountains, there are snow treks that are apt even for beginners. 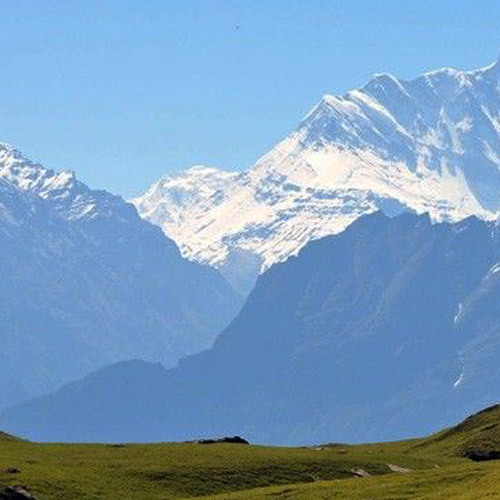 Trekking in the Auli region gives you uninterrupted views of the Himalayan peaks, meadows, and beautiful horizons. If you want to actually experience trekking in the snow, Auli is a perfect adventure destination. You’ll walk through meadows and apple orchards buried in snow. 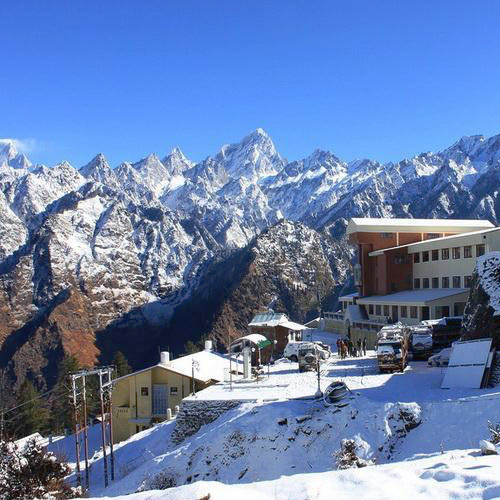 There are cozy and comfortable lodges in Auli that give you splendid views of the mountain range as well. If you get worn out from trekking in Auli, you can also hop into the cable car through the Auli Gurson Meadows, or head to Tapovan to lounge in the hot springs. 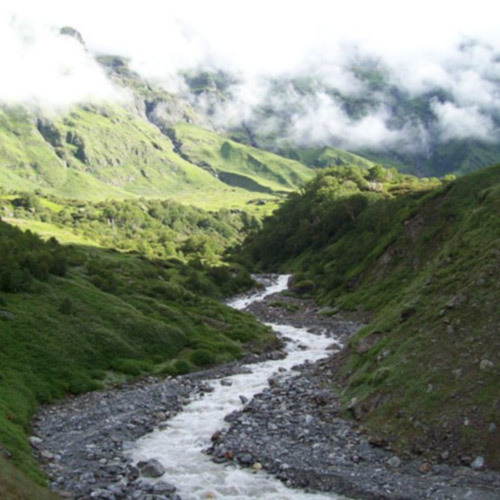 This adventure destination has more in store than just trekking in Auli. Choose to hit the slopes to learn the basics of skiing. Skiers from around the world flock to ski on these slopes, in the presence of the mighty Himalayas all around. You can even try out rafting through the rapids at Alaknanda. Aside from trekking in Auli, do try to go during the snow season. If you’re not keen on camping in tents in the cold, The Great Next has ski lodges where you can stay. You can tuck yourself away in this lodge, with views of landscapes blanketed in snow every morning. During the day, you can go out trekking in the snow, build snowmen, have snowball fights, and return to your warm rooms in the evening. You’ll get mountain-facing rooms, queen-sized bedrooms, and a private balcony with spectacular views. Trekking in Auli is beautiful during any season, but for the real thrills, go in the winter once it has snowed, between late December and Feb/Mar. During this time, skiing through the Auli Gurson Meadows and rafting in the Alaknanda is absolutely gorgeous.